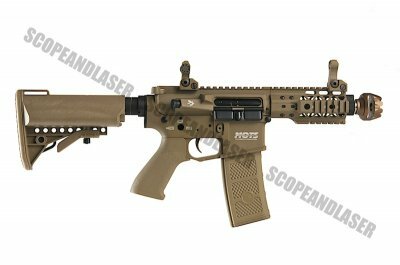 G&P Rapid Electric Gun-001 series joins M4 family, a brand that has garnered a reputation of quality, performance and compatibility to the point of setting the standard for all metal AEGs. It is the first high ROF of its kind for G&P. With the exception of the polymer pistol grip, telescopic adjustable crane stock and the magazine, it is completely made out of metal with a few snazzy markings that really give it a coolness factor. The ball grip you find everywhere is comfortable to hold and would guarantee you fantastic grip. 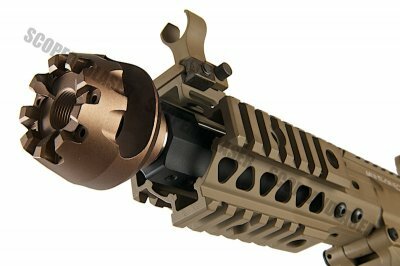 G&P internals are a promise of benchmark standards; the degree of quality, reliability and performance that set the trend for AEGs to follow. Good clean, solid performance you can count on and if thats still not enough they are highly compatible so you can talk to our engineers about jazzing up those parts to greater heights of power and rate of fire. We do recommend using 7.4 Lipo batteries. If you wish to use 11.1v lipo, we highly recommend buying the ASCU Mosfet system to compensate for the higher rate of fire. The AEG comes with a 110 round mid cap magazine with the skull frog imprinted on it. 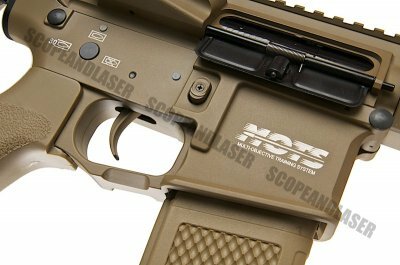 G&P have decided to go with their MOTS receiver and short rail system to accomodate the more compact stubby style AEG. 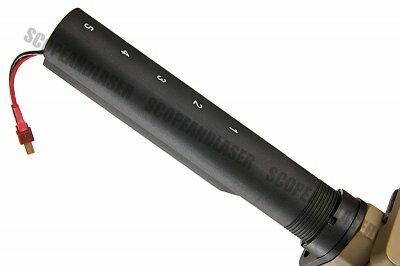 This makes it perfect for Close Quarter Battles as you can stick close to corners without having to worry about bruising your gun. The fire selector is bigger and ergonomic making it much easier to adjust though it does feel a little too easy to move. 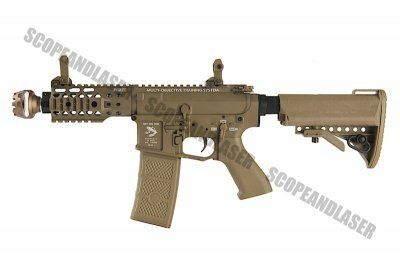 The magazine release is now ambidextrous making this AEG lefty friendly or if you want to switch it to your left side hoping to go round a right angled corner.